With productboard, you can visualize which features matter to which users and which customer companies, based on insights that have been linked to feature ideas. The company columns that you can display on your Features board display a breakdown of the user impact score for a given feature, attributable to the customer company or to users who have been assigned to that company. There are several ways to manually add a user to a company. 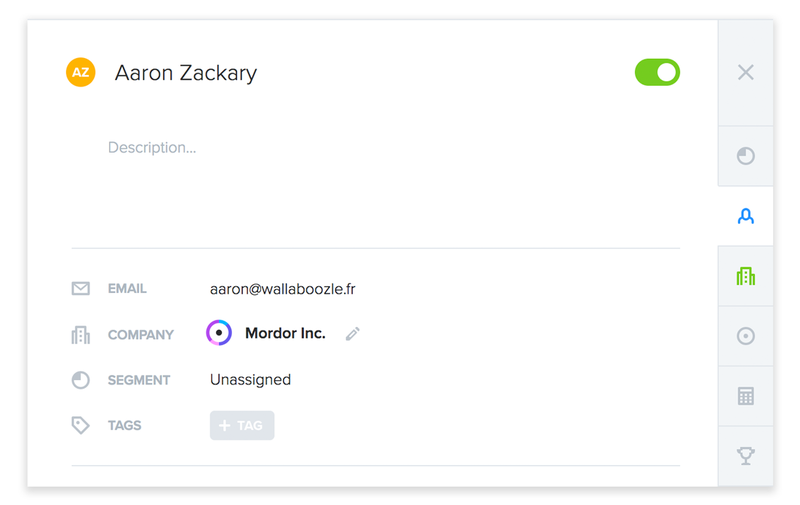 When creating a new note on the Insights board, you can add a user to a company in the user/company field. From here, you can also select a user's name to access their details. These are the same details that show when you select the header of a people column. From here you can specify what company the user belongs to. productboard can also automatically assign users to companies by matching the domain of the company URL with the domain of the people's email addresses. If you enter the email for a user, they will be assigned to any company with a matching domain. If you enter the domain for a company, then all users with a matching email domain (and not already assigned to a company) will be assigned to the company. Note: The emails for users may be automatically detected if their feedback is sent to the Insights board via forwarded email, Zendesk, or Intercom.